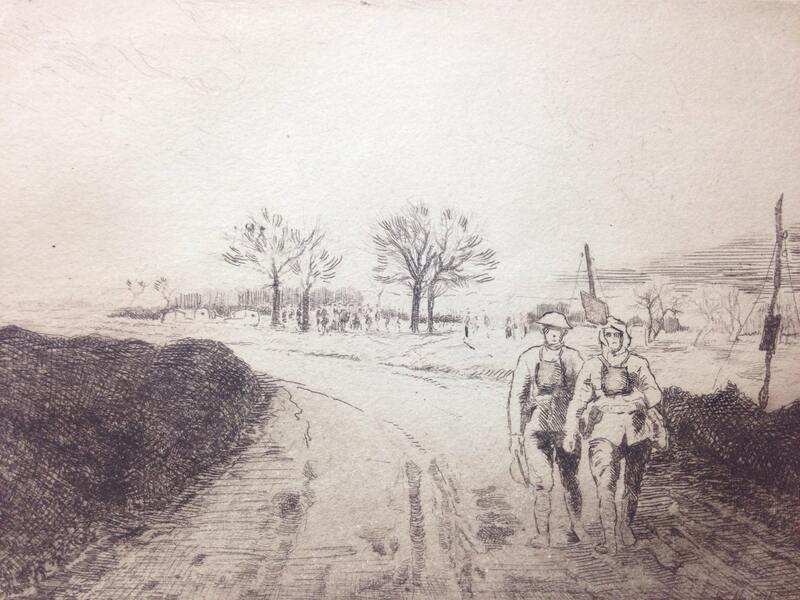 1920 Pair of Prints by Camille Kufferath (WWI) from "Pages of Glory and History, the 91st Division in Argonne and Flanders"
1.) 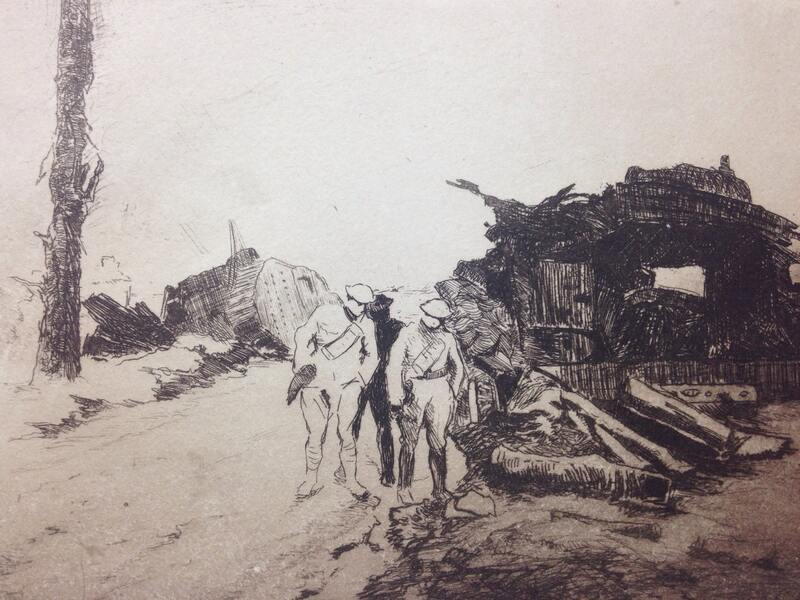 Ruined Tanks on the Ypres-Poelcapelle Road, Belgium - #13 – 1920 - 15.8 x 22 cm (image); 25.3 x 35.5 cm (sheet). 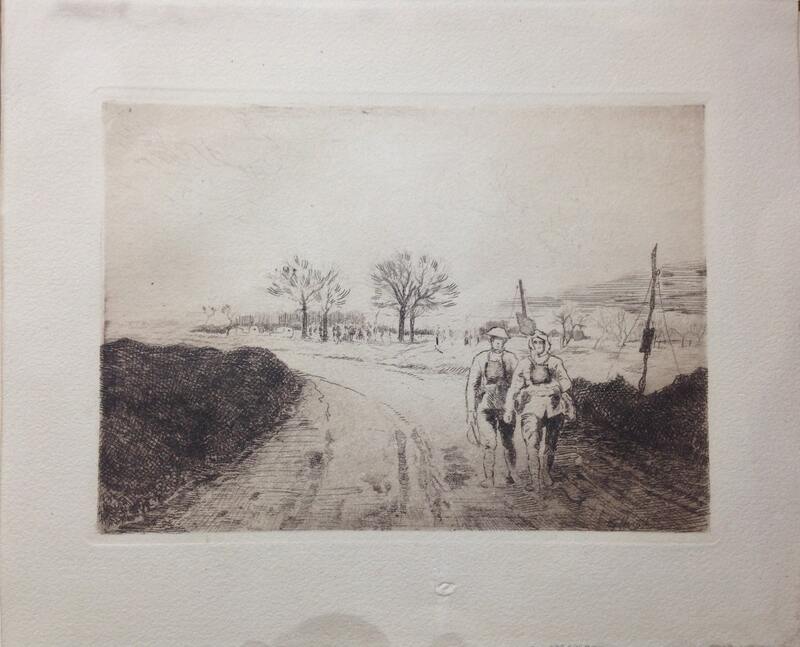 Here are two prints included in a portfolio entitled, “Pages of Glory and History, the 91st Division in Argonne and Flanders (Paris, New York, San Francisco: City of Paris, 1920). 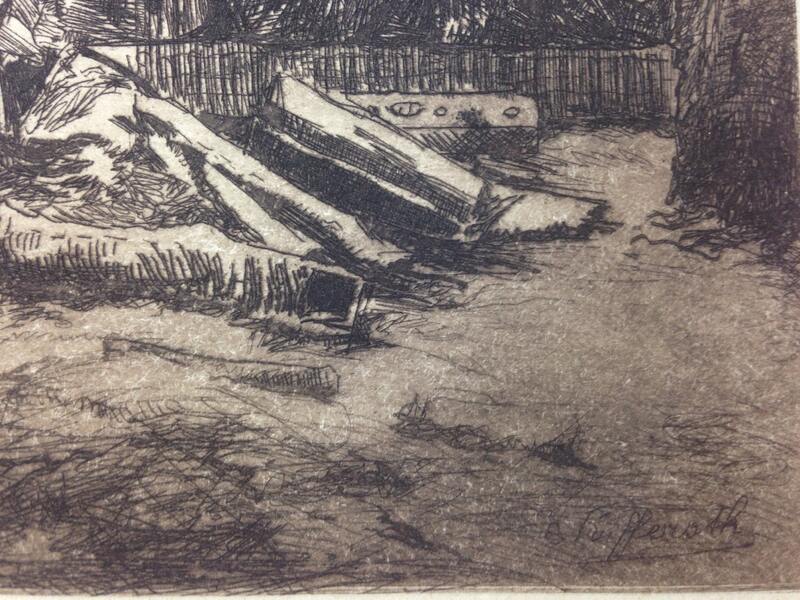 There were numerous etchings included in this portfolio. The entire portfolio is currently held by the Fine Arts Museums of San Francisco. The 91st is also known as the “Pine Tree” Division and was an infantry Division in the US Army. 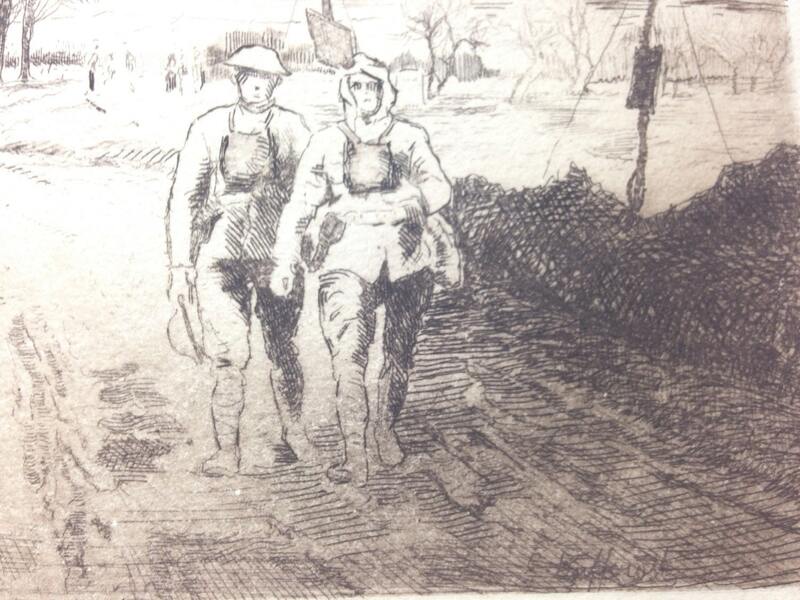 In September 1918, the division's first operation was in the St. Mihiel Offensive in France. Serving under the U.S. Army's V Corps, the division fought in the Meuse-Argonne Offensive (Battle of the Argonne Forest) and successfully helped to destroy the German First Guard Division and continued to smash through three successive enemy lines. The Meuse-Argonne Offensive was the largest in United States military history, involving 1.2 million American soldiers, and was one of a series of Allied attacks known as the Hundred Days Offensive, which brought the war to an end. The battle also cost Pershing 26,277 killed and 95,786 wounded, making it the largest and bloodiest operation of the war for the American Expeditionary Force. American losses were exacerbated by the inexperience of many of the troops and tactics used during the early phases of the operation. The Meuse-Argonne was the principal engagement of the American Expeditionary Forces during the First World War.